Have you guys heard of Sonaki Shower Head? I always knew water that we use needs to be filtered to remove impurities or harmful substances in it but I never quite out much thought into filtering the water that we use to shower too! That’s exactly what the Sonaki Shower Head does. For every shower you take, it filters away 99.9% of chlorine and chloramines (most widely used disinfectants for water) in Singapore’s water. 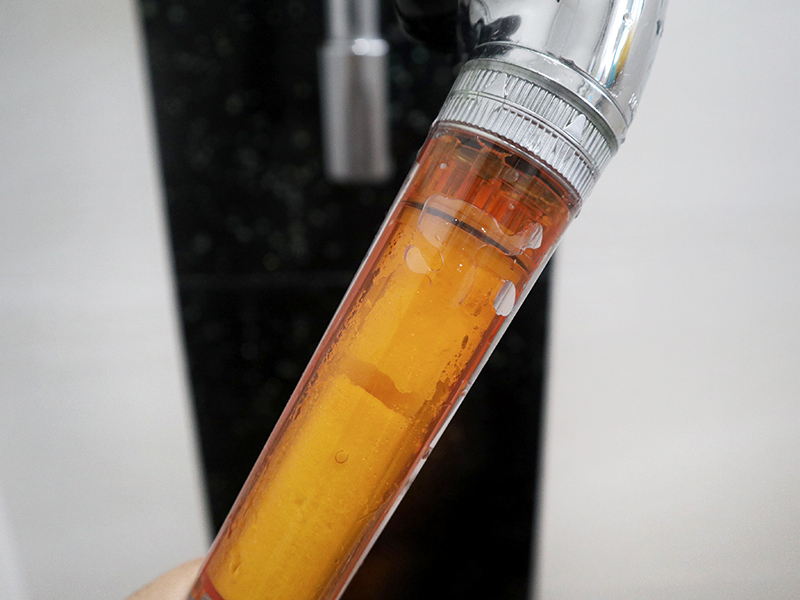 Did you know: Singapore’s tap water contains an average of 2.45 mg/l of chlorine. Our swimming pools have almost the same amount*. Did you know that during an average 10 min minute shower you absorb more Chlorine than you would by drinking 10 – 8 ounce glasses of water? Accordingly to Sonaki, constant exposure to this harmful chemical can eventually lead to chronic eczema, dry skin, hair fall, frizzy hair, asthma and more. But really, we don’t know this or feel any of it’s effects because this is the only water we know. Apparently water in other countries are so vastly different that when foreigners migrate here, they feel the effects of the difference in water quality. Vitamin C is the safest and least toxic of de-chlorination methods. It fully neutralises both chlorine and chloramines, and works at any water temperature and pressure. Our filters use ascorbic acid to instantly neutralise chlorine and chloramines as water passes through it while you shower. 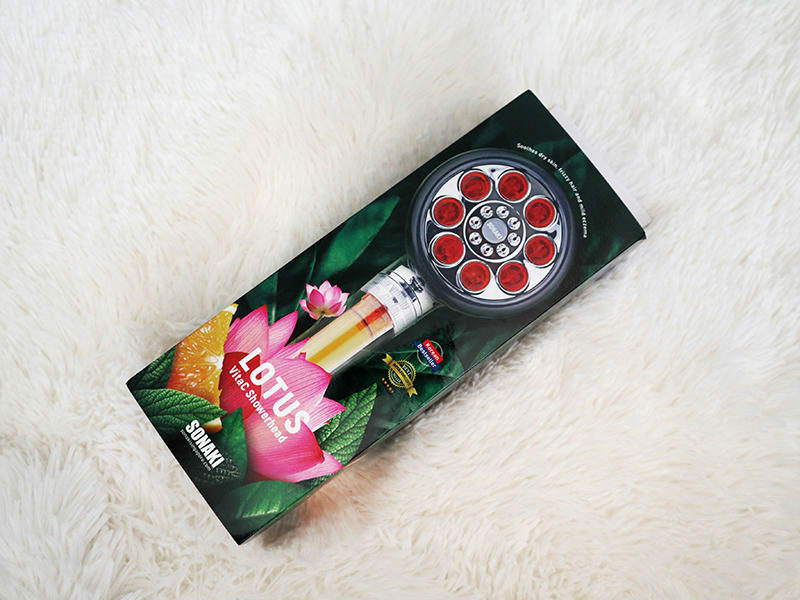 The one I have is the Lotus Shower Head design. It has 2 modes – Shower and Massage. For something that does such sophisticated things to our shower water, it is incredibly easy to install, stylish and changing filters is very easy too. This above here is the Vitamin C filter cartridge (3 pcs @ $15). 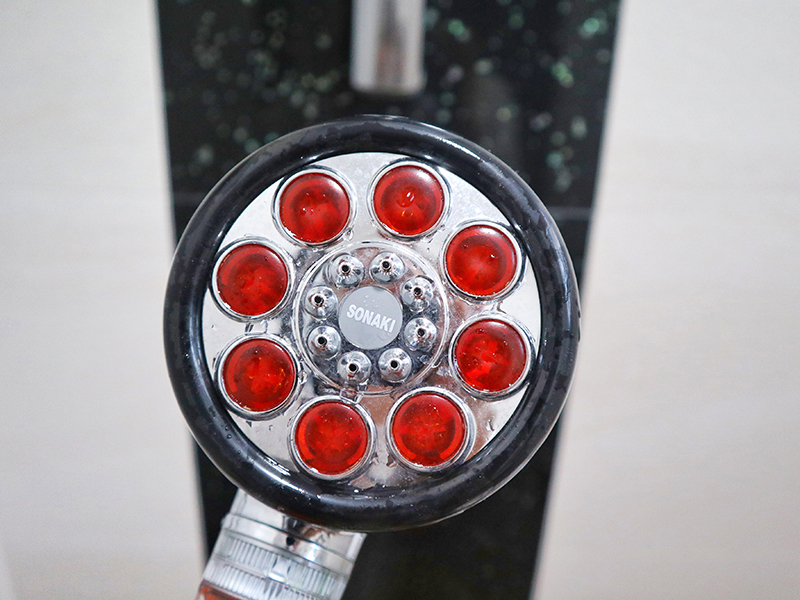 Water enters the bottom of the handle and passes through the cartridge and out comes the water for your shower. As water passes through the cartridge, the Vitamin C dissolves into the water and neutralises 99.9% of chlorine and chloramines that are present in the water. And surprisingly, after it has to do what it does, the water pressure is very strong (even stronger than my old one omg?). You’ll know it’s time to change filters when you see the Vitamin C crystals have all dissolved. How was having a chlorine-free shower for the past 2 weeks? First of all, I love the shower pressure. It’s amazingly strong and I love it. I don’t know about my husband, but I noticed 2 big things when I am using it. My dyed hair doesn’t wash off as easily. My hair doesn’t get as frizzy and tangled as it usually does. It’s amazing! I do believe it’s because of the Sonaki Shower Head because I didn’t change anything else about my hair routine. Same shampoo, same conditioner, same bathroom – haha! If you have more questions, check out the product FAQs here. Sonaki Singapore is Singapore’s sole distributor of Korea’s bestselling Vitamin C Shower Heads – VitaC Lotus, Rain and Crystal. Previous Post This Local Online Lifestyle Store Is A DREAM For Minimalists!